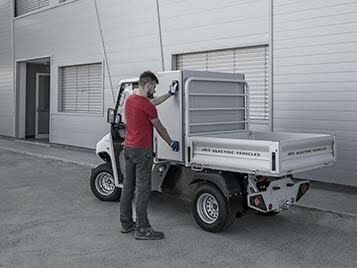 ATX vehicles with drop-side body and storage box are perfect for maintenance operations in various sectors. The rear cab box is a sturdy and safe storage element that combines perfectly with the 1,630 kg maximum chassis load capacity. 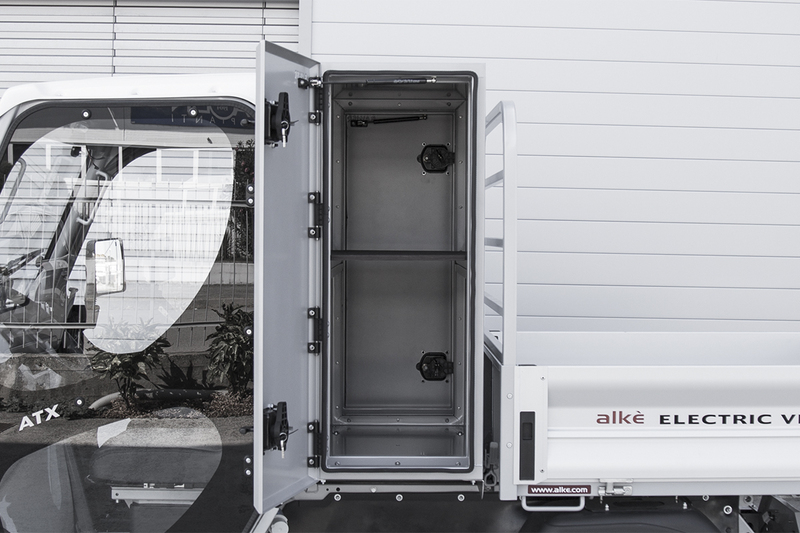 Why choose our vehicles with dropside body and storage box ATX? The mixed configuration has two important elements: the rear cab box and the dropside body. These two features were designed to be used in conjunction with one another so as to facilitate certain kinds of tasks. In particular we are referring to tasks which require the use of specific equipment that needs to be stowed, preferably, in a separate compartment of the vehicle. The rear cab box is, in fact, very sturdy and equipped with locking opposite side doors. This permits the operator to walk away from the vehicle with peace of mind. The storage area is extremely safe and well-protected, serving also as a container for more delicate materials that could be affected by aggressive and adverse weather conditions. But these are not the only advantages of this configuration. In addition to the covered module that protects specific materials, the vehicle is also equipped with a drop-side cargo bed. Thanks to this pairing, the operator can also transport material of lesser value and equipment for everyday use. Waste collection: full garbage bags and other discarded materials are placed in the loading area, while the equipment necessary for completing the collection, such as brooms, replacement bags, etc., are stored in the box. Maintenance services: equipment such as wrenches, pliers, testers, etc. are stored in the box, and various materials that need to be fixed or taken to a client or one's own workshop are placed in the cargo bed. Cleaning services in tourist facilities: all of the materials related to the cleaning of rooms and the changing of linens are stored in the box. Meanwhile, bags of sheets and towels that need to be laundered are placed in the cargo bed, possibly with the use side containment extensions. 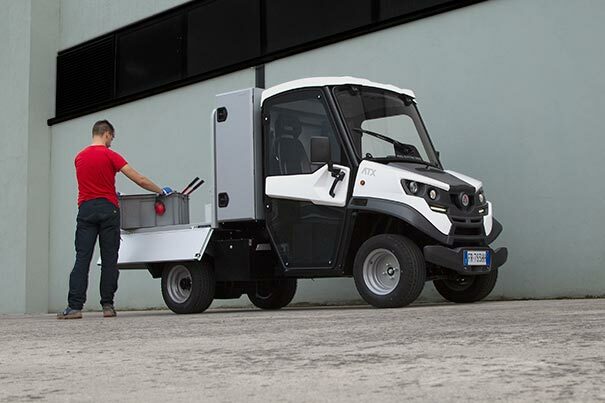 Special cleaning services in urban settings: machinery used for urban cleaning, like a pressure washer (for cleaning graffiti and pavements), is stowed in the box, while less important materials or items collected by the roadside are positioned in the dropside body. 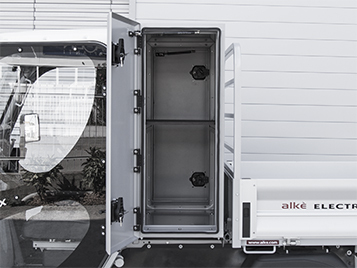 To meet the professional needs of all of its clients, Alke' focused not only on originality, but also and above all on the quality of the materials used and on the competence of its technicians. All Alke' vehicles are easy to manoeuvre, thanks to their lightweight (yet durable) structure and cutting edge mechanics, and feature comfortable and modern interiors. 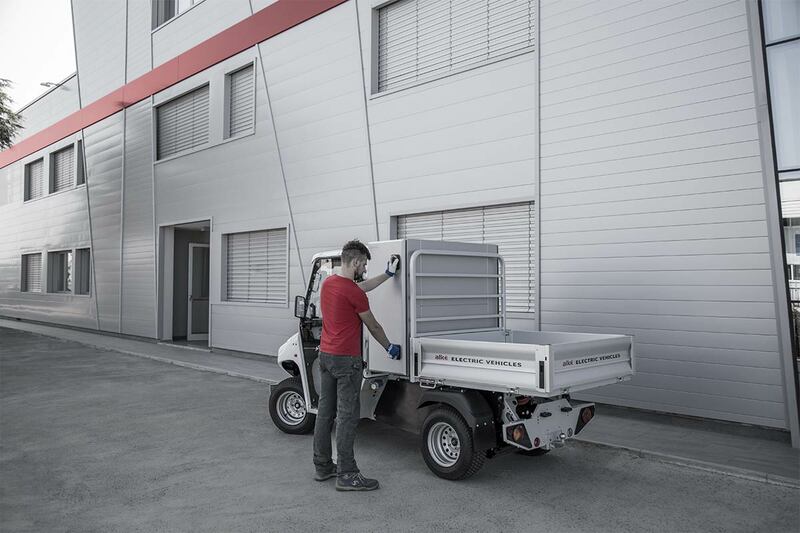 The AC electric motor guarantees heightened performance in all situations, from use on public roads (European type standard L7e), to that in more problematic settings like historic centres (with their narrow, cobbled streets), mountainous areas, and off-road environments. The mixed configuration ATX vehicles further stand out for their ability to navigate steep slopes with gradients of up to 35%, for their 1,630 kg load capacity, and for their 4,500 kg towing capacity. 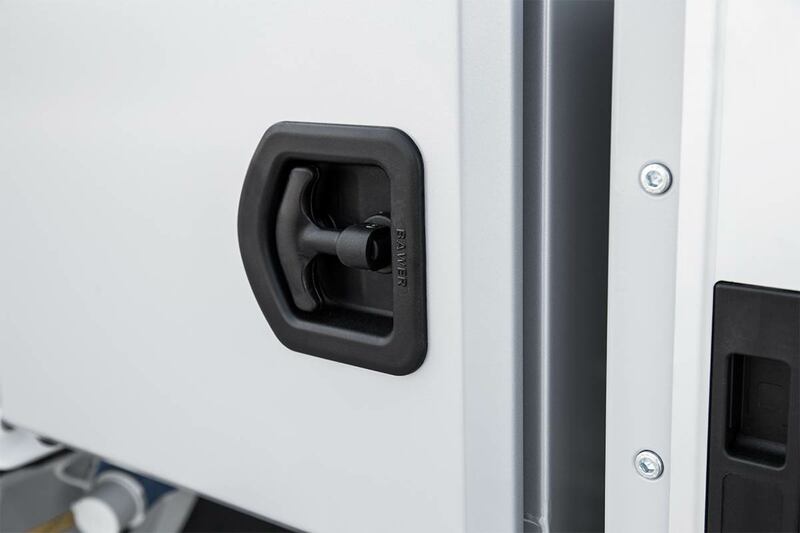 In addition to this, it must not be forgotten that all of the vehicles designed by Alke' are completely electric and ecologically friendly. 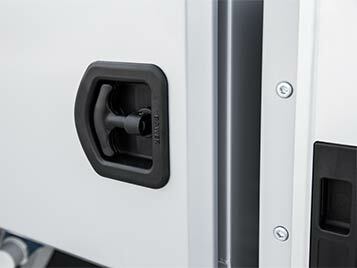 Sustainable mobility is a focal point of the company mission, as attested to by the continuous updating of manufacturing techniques and of the vehicles power supply. Request the prices of vehicles with drop-side body and storage box.